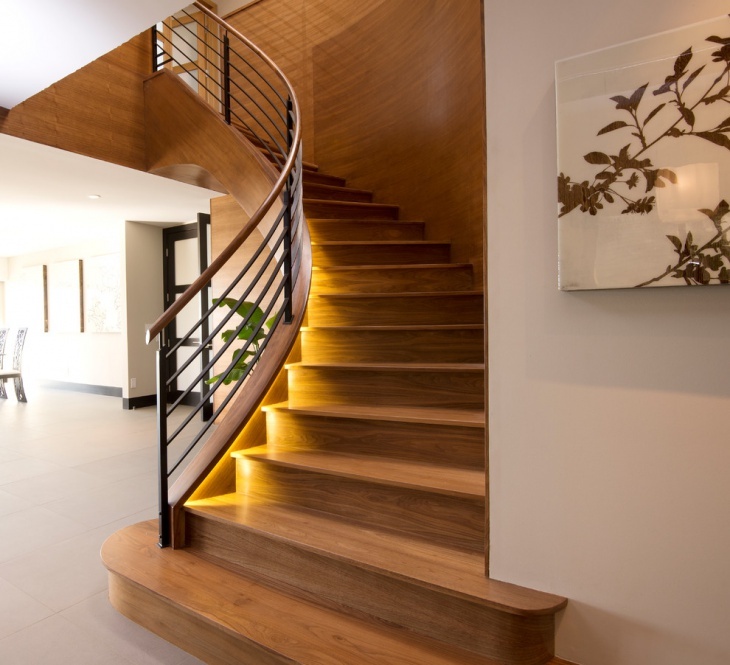 A staircase has a lot more architectural value when you look beyond its functional realm. 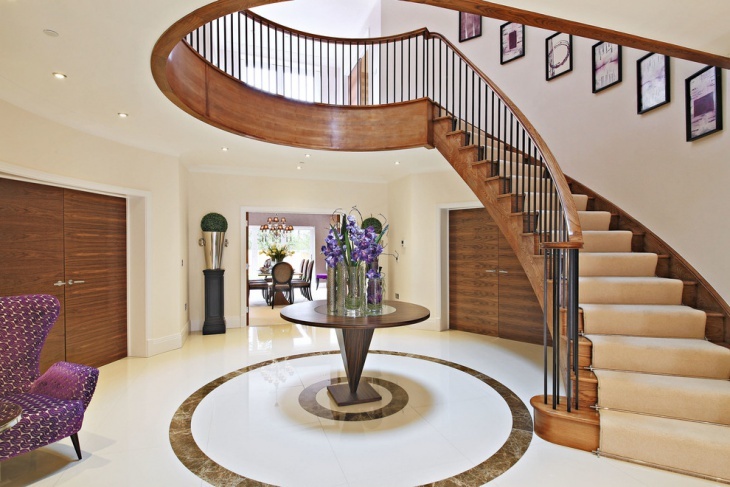 In fact, a spiral staircase can be customised to make it the most elegant element in your room. 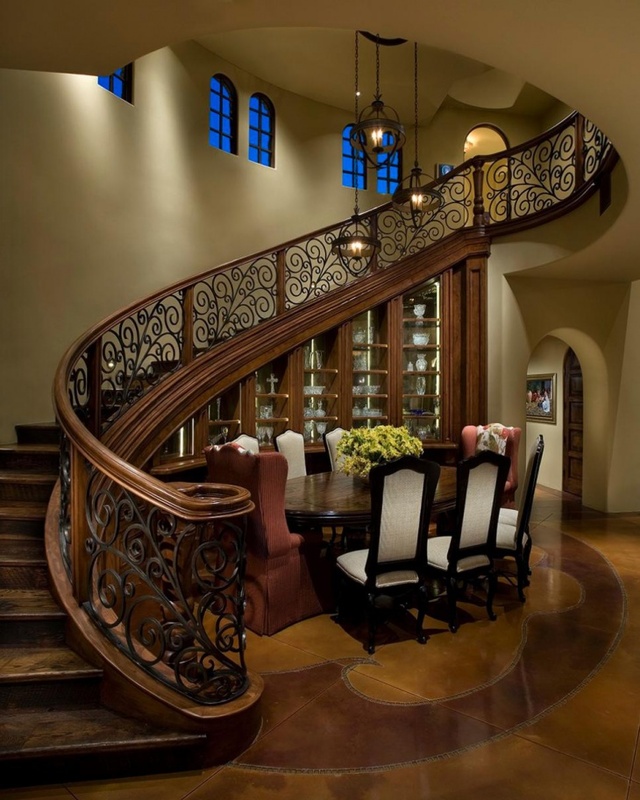 Innovative people like to incorporate curved staircase design ideas in their homes to enhance the looks of their asset. These can be placed both in indoor and outdoor areas. Curved staircases can be spiral or much more complex. Here, you will come across ten classy spiral staircase design ideas that you can incorporate in your homes. 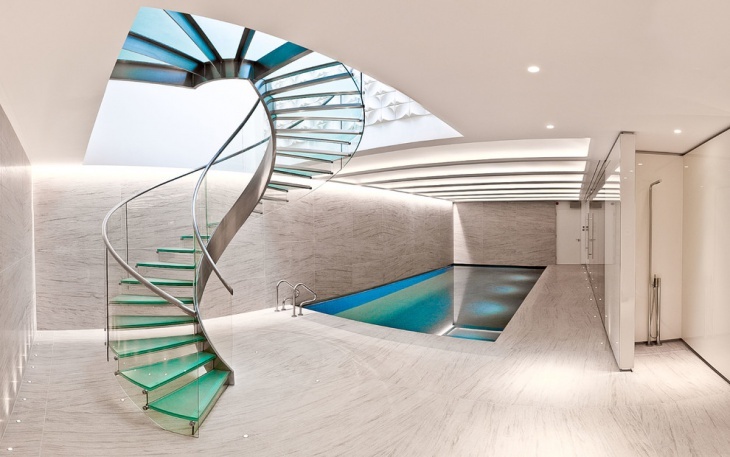 Open tread staircases look fascinating and sleek in most of the modern homes. The tiled staircase has a dark colour, and it looks contrasting with the white paint in the room. The steps are white, and goes well with the settings in the living room. The steps are somewhat steep, but it is an elegant part of the architecture. Even in small houses, a compact curved staircase looks great. Here, the concrete staircase has handrails made of stainless steel. The white steps look contrasting with the white walls in the room, and you can create a stunning look at the entrance by opting for a glass door. It looks classy for a small house. Elegance lives up to the fullest when you strike the right colour combination for the walls and stairs. 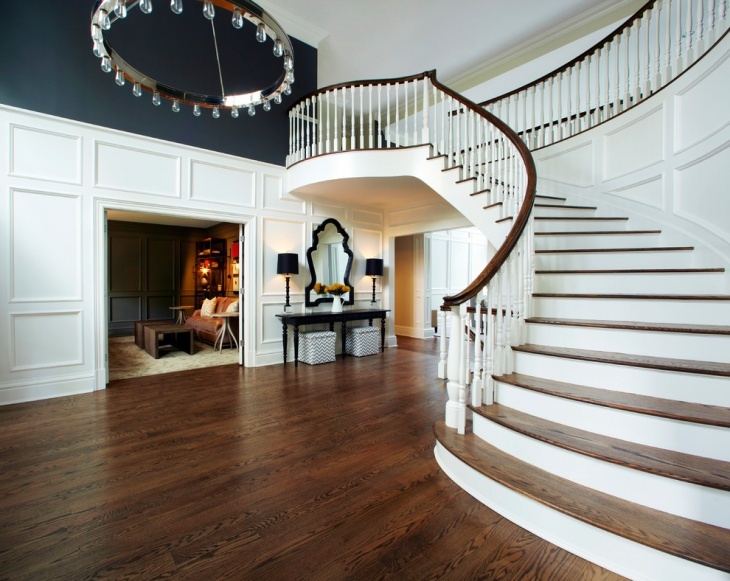 This stairway setting is ideal for a basement, and the cherry flooring goes well with the white walls. There are little art works on the wall along the stairs and. You can place a grand piano in the space under the stairs for a classy match. When you want to enhance the looks of your home with one of the finest specimens of architectural craftsmanship, you can opt for a grass staircase with metal handrail. It is a minimalist staircase with a greenish crystalline hue along the steps. It is ideal for a large and spacious room with white paint and small pendant lights. 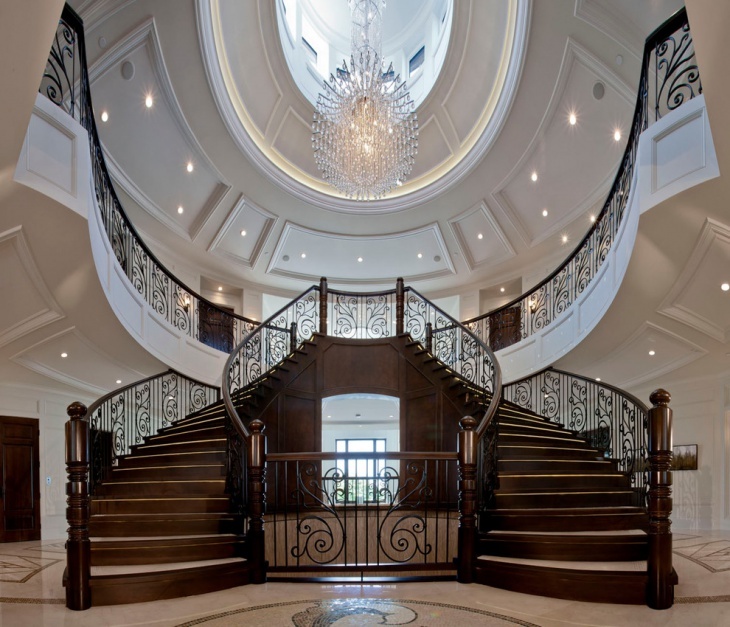 Palatial mansions look even more grand when you incorporate a double curved staircase. It makes the architectural design symmetrical. The foyer floor has carpet decorations and are ideal for two storeyed houses. 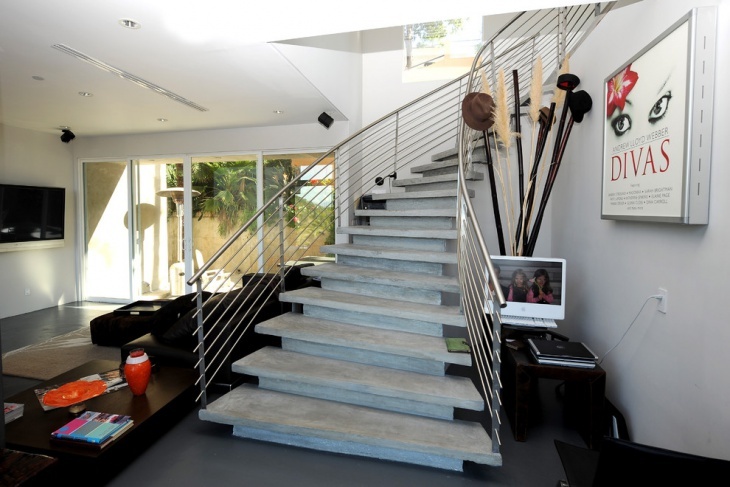 The skilfully designed handrails deliver a luxurious attire to your home. 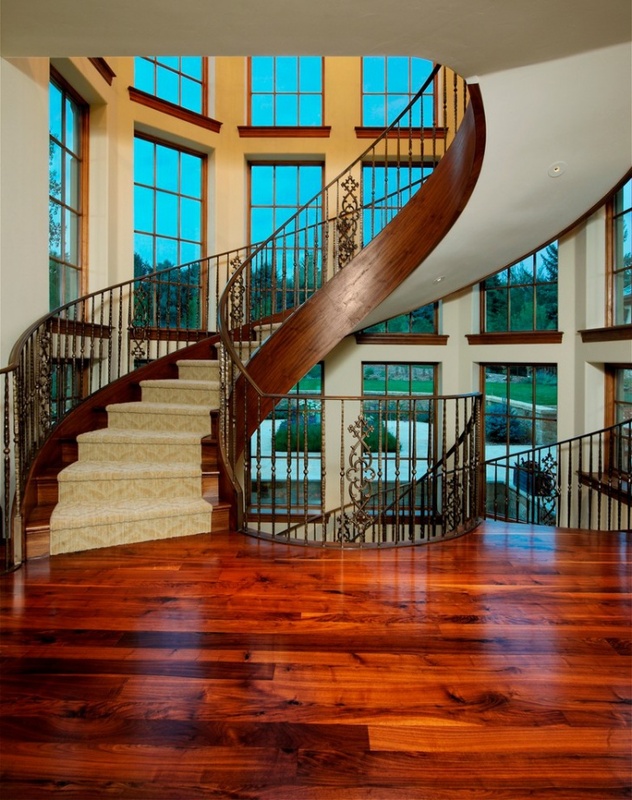 A wooden staircase is rich in elegance and expose a refined taste. 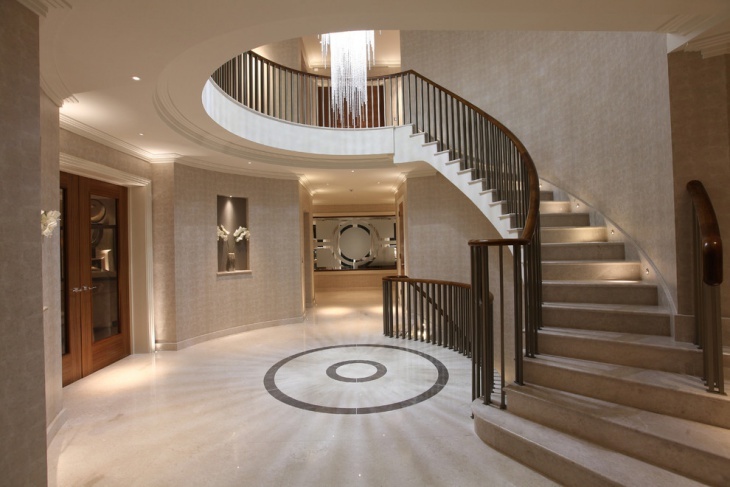 Here, you will find a light-coloured carpet covering the entire length of the wooden staircase. It goes well with the beige ad purple combination of the furniture and wall paints. The winding staircase looks elegant with dark-framed portraits along the side wall. 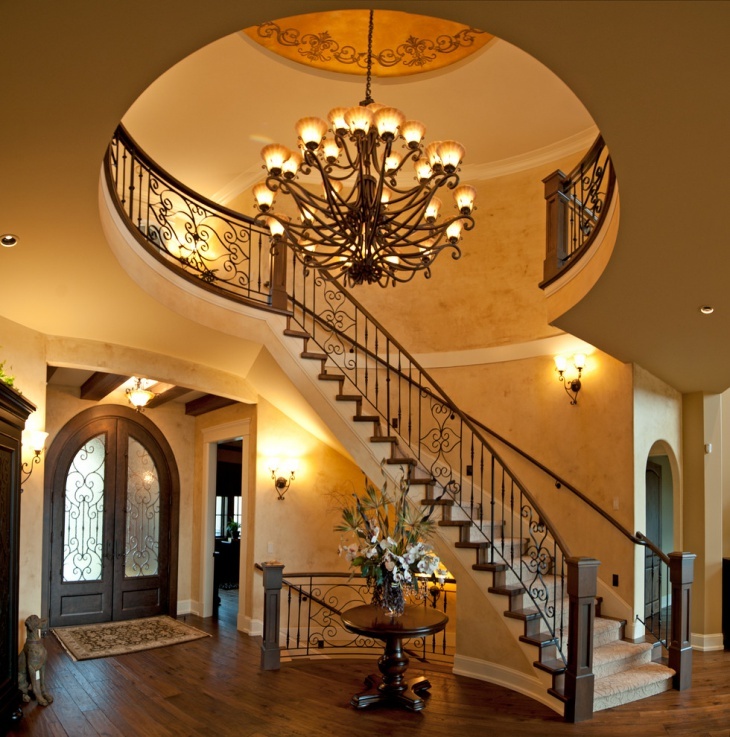 When you have a fashionable entryway with a beautiful chandelier and wooden floors, you can get in touch with an ornate curved staircase. The wooden handrail top has a good match with the dark brown floor in the room. It is a grand staircase with a dark walnut stain. 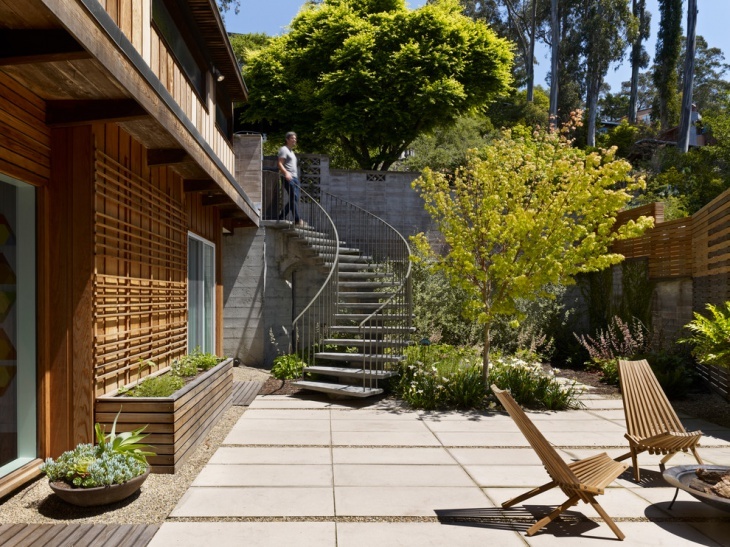 This is a classy Outdoor Stair idea, where you can yield the natural beauty of bricks. Houses that are located on hill-slopes look great with this setting. You can make it even more blissful with plants growing around. 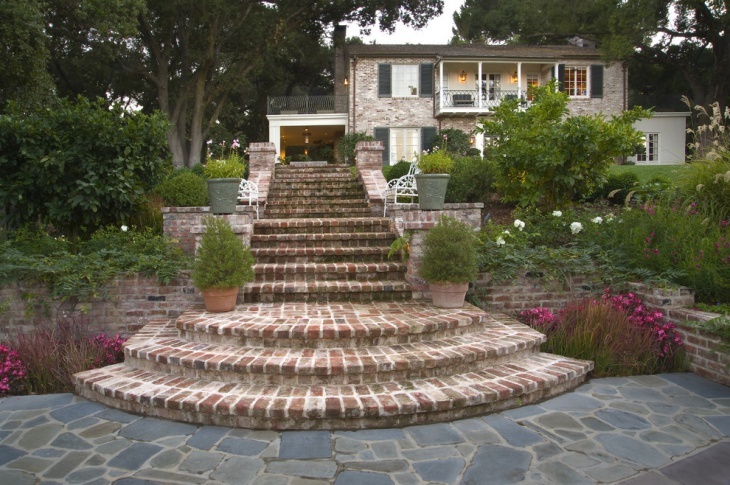 Place potted plants beside the staircase leading to the house, and the reddish brick columns with curved designs look classy. 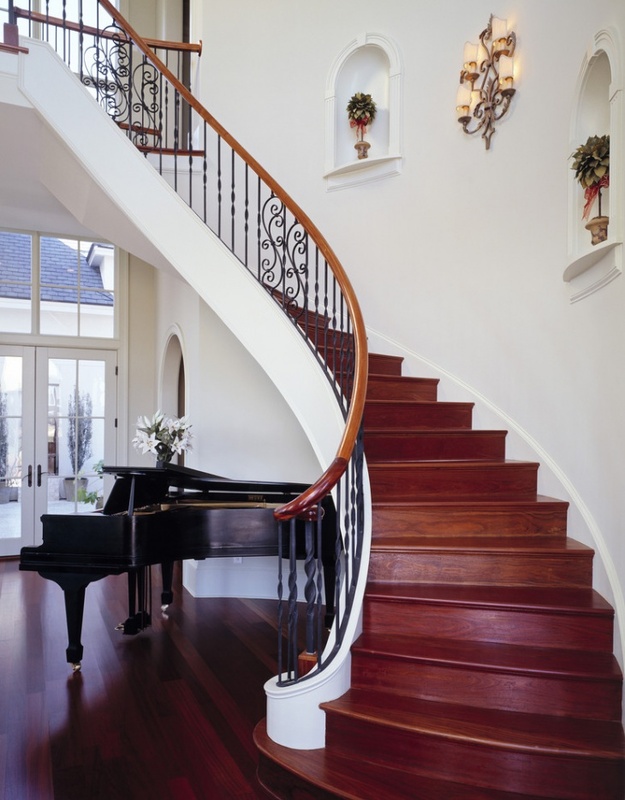 A mansion staircase, when perfectly innovated, can deliver a beautiful architectural support. Looks matter a lot when you consider the in-built feature of the house. 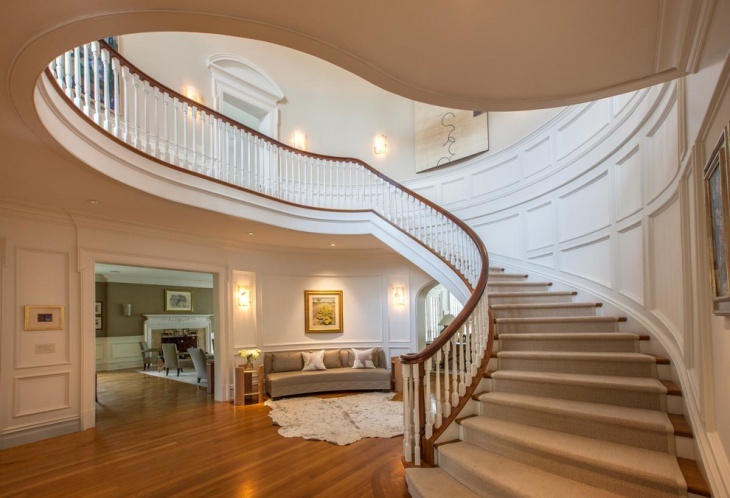 The curved staircase design ideas are being differently incorporated in modern homes to get stunning interiors. 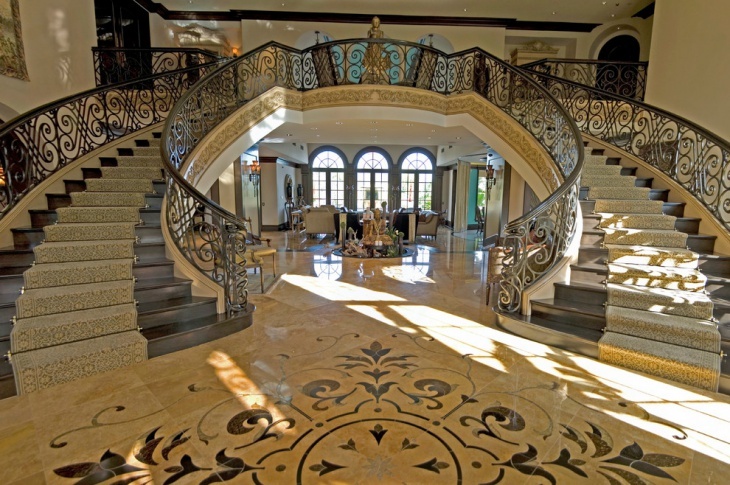 You may innovate a new staircase idea for your mansion, and you can share it with us if you want to.